VATICAN, March 27, 2011 (KATAKAMI.COM) — Pope Benedict XVI has made his strongest statement to date on the conflict in Libya, calling for “an immediate dialogue” to halt the violence there, Deutsche Welle reported on Sunday. Speaking at his Sunday blessing in St Peter’s Square, Benedict said he was appealing to “international organizations and those with political and military responsibilities” to start talks leading to a suspension in armed hostilities. The pontiff said there was “an urgent need to rely on every diplomatic measure available” to bring about a reconciliation between the warring parties. On Sunday, the Pope also paid his respects at a site on Rome’s outskirts where the Nazis executed over 300 Italian men and boys during World War II in retaliation for a partisan attack in which 33 German soldiers were killed. The 83-year-old pontiff knelt in prayer at the graves of the victims, before he and Rome’s Chief Rabbi, Riccardo Di Segni, each recited a psalm. Among those killed were some 76 Jews. It was the first visit to the site as pope by the German-born Benedict. The location, known as the Ardeatine Caves, was also visited by his predecessors Paul VI and John Paul II. VATICAN CITY, March 20, 2011 (KATAKAMI.COM / WASHINGTON POST / AP) — Pope Benedict XVI issued an urgent appeal Sunday to military and political leaders to consider the safety of Libyan civilians and ensure they have access to emergency aid in his first public comments on the conflict, as reported by The Washington Post. Benedict said the outbreak of hostilities had sparked “great fear and alarm in me” and said he was praying for peace in the region. The Vatican has been remarkably quiet about the mounting tensions in Libya and U.N. Security Council decision to authorize military force to halt Moammar Gadhafi’s crackdown: the Vatican newspaper has reported on the developments matter-of-factly, without commentary. That was not the case eight years ago in the run-up to the Iraq war, when Pope John Paul II voiced emphatic opposition to U.S.-led military action and sent an envoy to Washington to try to avert it. Recently, the Vatican has been chastened for what some in the Arab world considered interference in its internal affairs: The pre-eminent institute of Islamic learning in the Sunni Muslim world froze talks with the Vatican earlier this year after Benedict called for better protection of Christians in Egypt. 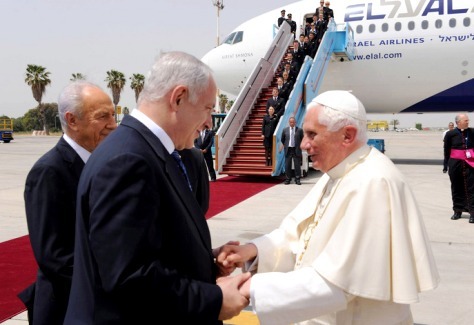 March 4, 2011 (KATAKAMI.COM) — Following the publication of Pope Benedict XVI’s new book, in which he exonerates the Jews from being responsible for Jesus’s death, Prime Minister Benjamin Netanyahu sent a letter of appreciation to the Pontiff. 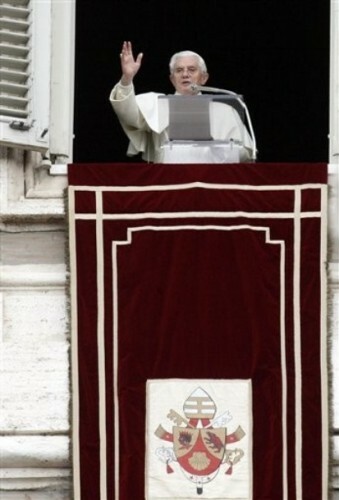 Jan 15 (KATAKAMI.COM / VATICAN RADIO) — Pope Benedict XVI greeted an ecumenical delegation from Finland on Saturday. The group of Lutherans were making their annual pilgrimage to Rome to mark the feast of Saint Henry, the patron of their country. The meeting is coming just before the celebration of the Week of Prayer for Christian Unity, which begins next week. The majority of Finns belongs to The Evangelical Lutheran Church of Finland, which has nearly 4 ½ million members. Speaking in German, the Pope reminded the delegation that Christian unity is ultimately a fruit of the action of God, and its success depends on the effectiveness of efforts which come from persistent prayer. He noted the recent final report on Justification in the Life of the Church prepared by the Nordic Lutheran-Catholic Dialogue Group in Finland and Sweden, whose members he was able to meet last year. He said a deepening of the understanding of justification will help Catholics and Lutherans reach a common view regarding the nature of the church and the episcopal office. He also drew attention to the awareness that the ecumenical journey has become in many ways more difficult and more challenging. The Pope said questions have been asked about the ecumenical method and the achievements of recent decades, and some express uncertainty about the future. 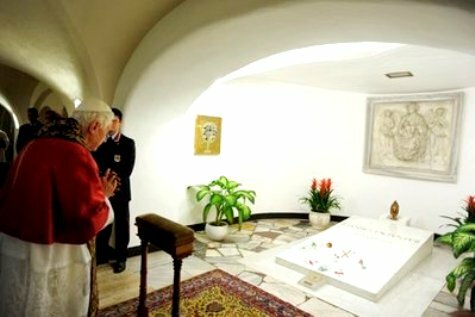 VATICAN CITY, Jan 14 (KATAKAMI / AP) — The pope on Friday signed off on the miracle needed to beatify Pope John Paul II, and set May 1 as the date to honor one of the most beloved popes of all times as a model of saintliness for the church. Pope Benedict XVI said in a decree that a French nun’s recovery from Parkinson’s disease was miraculous, the last step needed for beatification. A second miracle is needed for the Polish-born John Paulto be made a saint. “This is a huge and important cause of joy,” Warsaw Archbishop Kazimierz Nycz told reporters at his residence in the Polish capital. 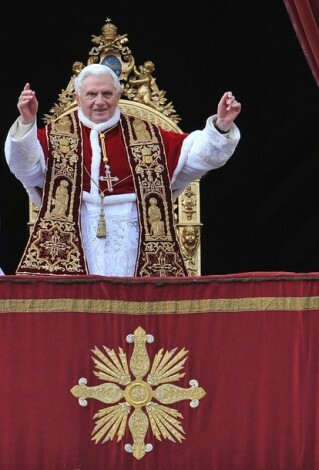 Cardinal Stanislaw Dziwisz, John Paul’s longtime secretary and friend, expressed “huge thanks” to Benedict for the decree. “We are happy today,” he said. 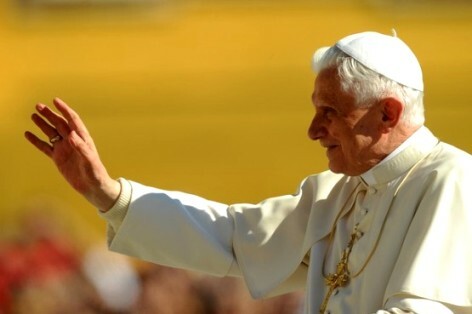 Benedict put John Paul on the fast track to possible sainthood just weeks after he died in 2005, responding to the chants of “Santo Subito!” or “Sainthood immediately!” that erupted during his funeral. 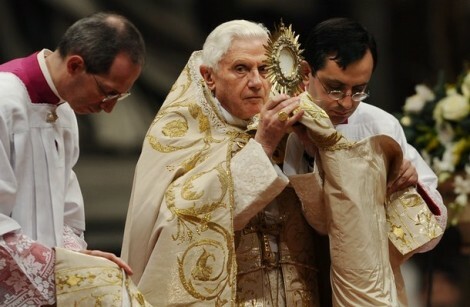 Benedict waived the typical five-year waiting period before the process could begin, but he insisted that the investigation into John Paul’s life be thorough so as to not leave any doubts about his virtues. John Paul’s beatification will nevertheless be the fastest on record, coming just over six years after his death and beating out Mother Teresa’s then-record beatification in 2003 by a few days. The last remaining hurdle in John Paul’s case concerned the approval by Vatican-appointed panels of doctors and theologians, cardinals and bishops that the cure of French nun, Sister Marie Simon-Pierre, was a miracle due to the intercession of the late pope. On Friday, Sister Marie Simon-Pierre said John Paul was and continues to be an inspiration to her because of his defense of the unborn and because they both had Parkinson’s. But his common touch also made him a crowd-pleasing superstar whose 26-year papacy carried the Roman Catholic Church into Christianity’s third millennium and emboldened eastern Europeans to bring down the communist system. He survived an assassination attempt in St. Peter’s Square in 1981 — and then forgave the Turk who had shot him. After suffering for years from the effects of Parkinson’s disease, he died in his Vatican apartment on April 2, 2005, at the age of 84. Vatican officials have said there was nothing in John Paul’s record that called into question his path to beatification. Rather, he said, it’s a statement about his personal sanctity since beatification is way of holding up Catholics as models for the faithful. Dziwisz, John Paul’s most trusted friend who seemed at times impatient with the slow pace of the process, gave thanks on Friday from Krakow, where he is archbishop. VATICAN CITY (KATAKAMI / THE STRAITS TIMES) — POPE Benedict XVI on Saturday urged world leaders to defend Christians against abuse and intolerance after a New Year’s day bomb attack in a Coptic church in Egypt claimed 21 lives. In the wake of mounting tensions and ‘especially discrimination, abuse and religious intolerance which are today striking Christians in particular, I once again launch a pressing appeal not to give in to discouragement and resignation,’ he said, speaking at the New Year mass. The attack in Alexandria also wounded 43 people.